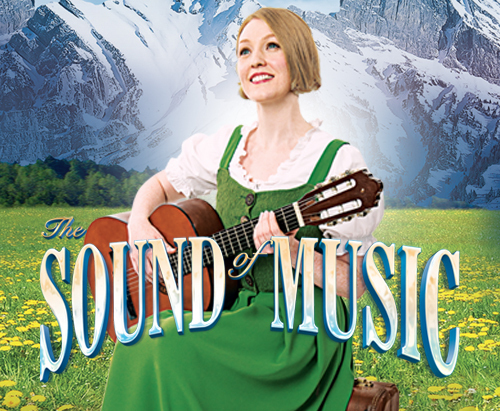 A contestant from a TV talent show has been given her big break on stage as the lead in a new UK tour of musical giant The Sound Of Music - but is it too much a mountain to climb? Viewers of BBC1's The Voice may remember opera-singing theatre usher Lucy O'Byrne describing her ambition to be on the stage rather than showing audiences to their seats. The classically-trained soprano has now been given the chance to take centre stage in this new Bill Kenwright production as Maria, the role made famous in the film by Julie Andrews. 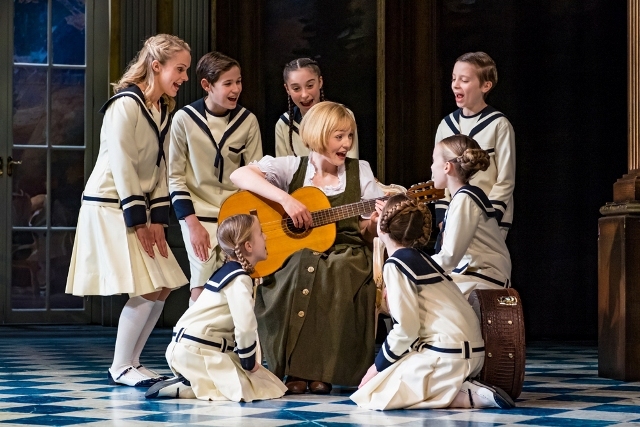 I caught The Sound Of Music early on in the tour at Festival Theatre in Malvern ahead of its visits to theatres including Birmingham Hippodrome, the Aylesbury Waterside, the Everyman in Cheltenham and Blackpool Opera House. Magnificent sets and singing feature in The Sound Of Music theatre tour. 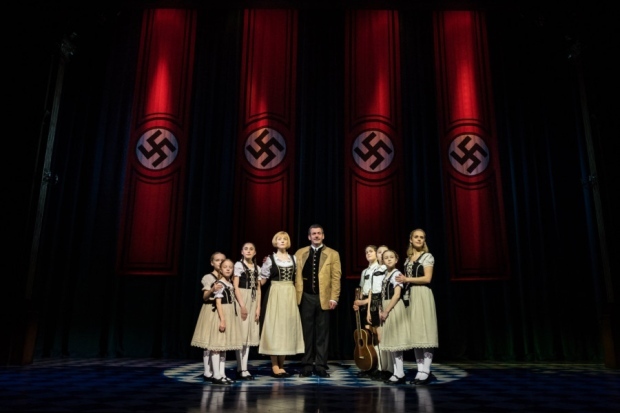 It's a slick production as we follow singing nun Maria as she brings happiness and music back into the lives of widowed Captain von Trapp and his seven children while the threat of the Nazis in Austria grows ever closer. The set recreates the luxurious von Trapp family home complete with grand staircase. Elsewhere, there's the medieval arches and stained glass windows of the convent, where the story opens. It seems as though no expense has been spared. Playing the dashing captain is former Coronation Street actor Gray O'Brien. He's strong on the drama but when it comes to the singing, his gravelly tones were a but shaky at times. It's not an issue as his charisma makes him popular with the audience. Luckily, there's Lucy O'Byrne to lead the singing charge across the mountain tops and she doesn't put a note wrong musically. Despite finishing as runner-up in Series Four of The Voice UK as part of Team Will, O'Byrne has a fantastic tone of voice. She's a good choice for Maria, as in a short blonde wig she has something of a young Julie Andrews about her. The only cast member who comes close to O'Byrne vocally is the Mother Abbess (played by Jan Hartley), who is outstanding, stealing the show with Climb Every Mountain. Hartley actually played Maria in the first national tour of the Sound Of Music several years ago. I remember watching the The Sound Of Music film over and over again as a child and those enamoured with the movie, like me, should be prepared for a lot of differences. The stage version has always differed from the movie and although the theatre production works well, the order of how things happen and the characterisations are not the same. There's no puppet show, the nuns don't end up sabotaging the Nazi car, and the Captain's fiance doesn't have any rivalry with Maria and leaves because of a disagreement over the Nazis. In fact, the romance of Maria and the Captain is played down with greater emphasis on the children - who have been well chosen as they are all adorable and bristling with youthful enthusiasm and talent. Importantly, the songs are all there and that's what most people have come to hear. Overall, this latest production still has the charm, glamour and songs to keep fans happy. It received a standing ovation in Malvern as well as proving that young Lucy O'Byrne is a "voice" to contend with. Prices from £20. 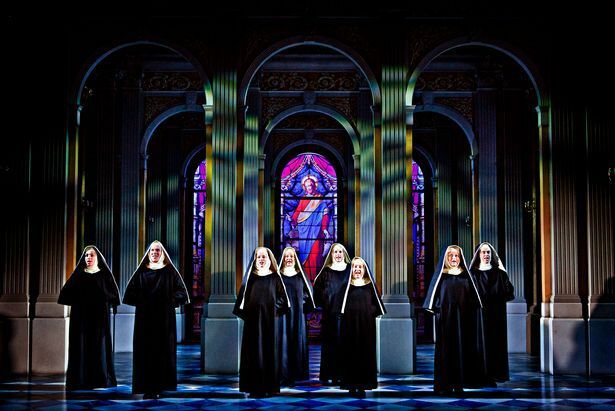 For tour and ticket information, see the Sound of Music website.